SHARE celebrates ISSUE Project Room's final night in their current location – the unique silo on the banks of the Gowanus Canal. To celebrate IPR's time in the silo and their move to a new space, SHARE will run a multimedia open-jam, inviting everyone and anyone to join, including those who have performed at, visited, or simply love IPR. It will utilize Stephan Moore's 16-Channel Hemispherical Speaker System and IPR's cylinder structure for visual projections both inside and outside the space. Please come to play, hang out, or participate in many toasts! The evening starts at 8PM. 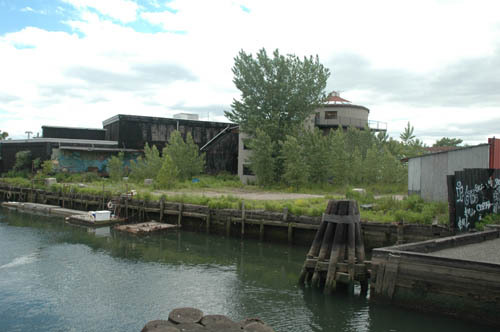 The IPR's silo is located on the Gowanus at the Carroll Street Bridge. The formal address is 400 Carroll Street.